Super Smash Bros Ultimate boasts the largest roster of any game in the series yet. In fact, every single Smash Bros character in history is featured in the game, including Snake, Bayonetta, Mega Man and more. With that many characters to contend with, we thought it would be good to detail each one. This means breaking down all of the changes for each character, a look at new outfits and moves, as well as everything else you need to know. This guide deals with Link in Super Smash Bros. Ultimate, and will take you through his moves set and all the new additions to his arsenal. For all the details on every other character in Super Smash Bros Ultimate, head over to our Super Smash Bros Ultimate Characters Guide. We'll be updating each one as we learn more, in the hopes of having a breakdown of the full roster. Your shield will deflect projectiles if you're standing still. Link is best used at range, so don't be afraid to dodge out the the sides and attack with arrows. Get used to pulling out bombs regularly, they're a great way to do damage while zoning. Up Smash is great to use when an opponent is dodge rolling towards you. Your Boomerang will pull opponents back towards you if it hits on the return, be ready. We've detailed all of Link's Special Moves in the table below. You'll find info on how to perform all of Link's special moves and Final Smash. Seeing as we've seen the release of The Legend of Zelda: Breath of the Wild since the last Smash Bros game, it's fitting that the Link we see in Super Smash Bros. is heavily stylised to look like the most recent iteration. This includes his blue tunic, glowing arrows and Sheikah Slate. 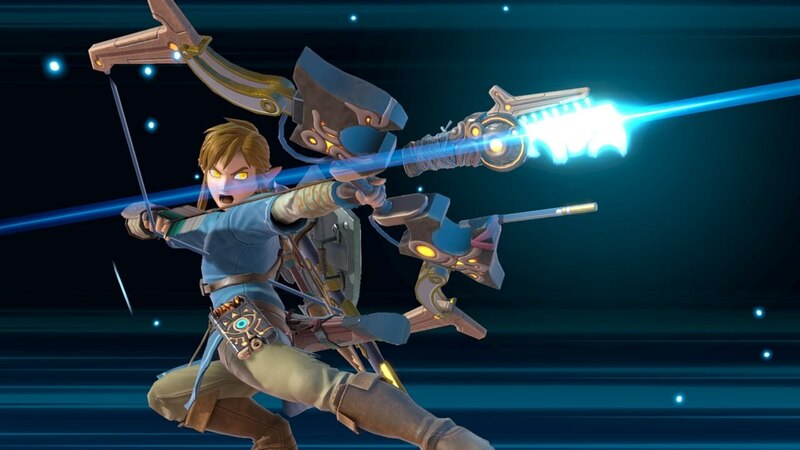 In the character trailer released after the Nintendo E3 2018 Treehouse event, Link's new look was shown off and seems to include changes to weapons, bombs and emotes. As well as receiving multiple different versions in Young Link, Toon Link and more, Link also has a few alternate outfits to choose from too. 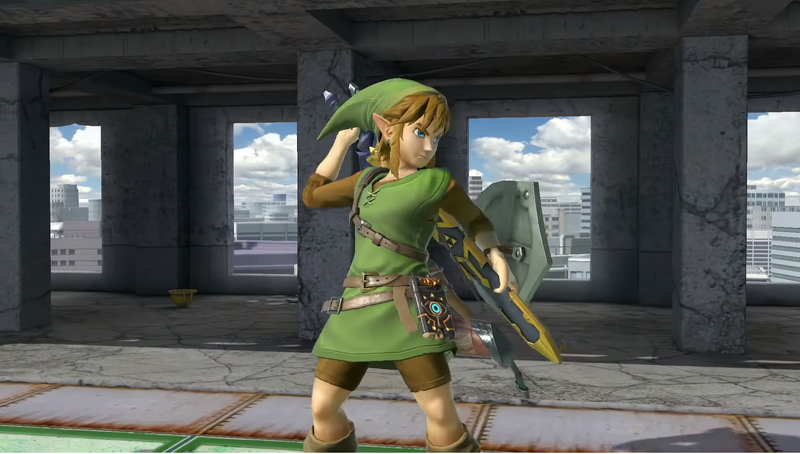 In the gameplay footage released by Nintendo, we see green tunic Link as well as the more prominently featured Breath of the Wild version. Green tunic Link is very much just a reskin, still possessing the Sheikah slate and other items only featured in Breath of the Wild. First up, Link can use his Sheikah Slate to throw and then detonate Remote Bombs. He also has no Hookshot this time around, and instead performs grabs like regular characters. That's everything we know about Link in Super Smash Bros Ultimate so far. For more on the game, head over to our Super Smash Bros Ultimate Guides hub. You'll find trailers, release date info, and a look at some of the stages which are being added to the game.